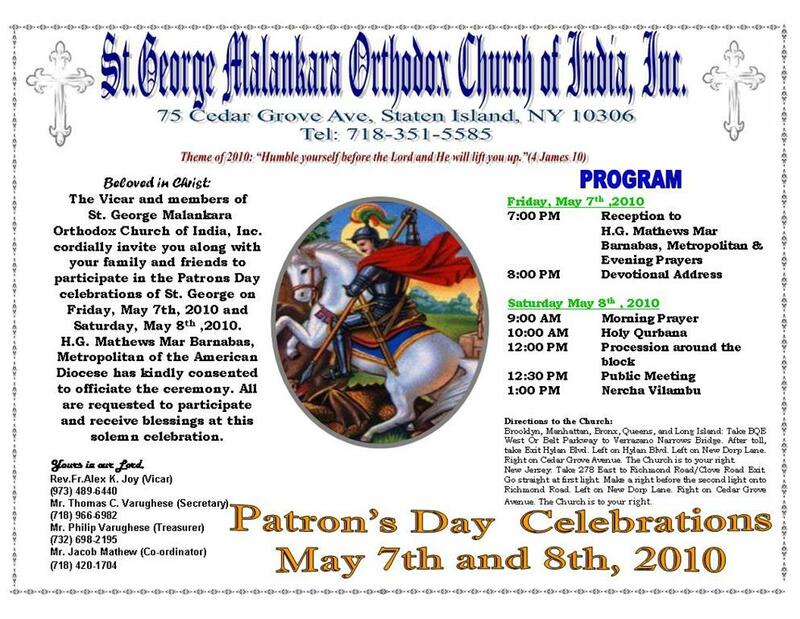 St. George Orthodox Church of Staten Island will be celebrating the Feast of St. George on from Friday, May 7 to Saturday, May 8. His Grace Mathews Mar Barnabas, Diocesan Metropolitan will be the chief celebrant. For further information please click on the flyer provided or their parish website.